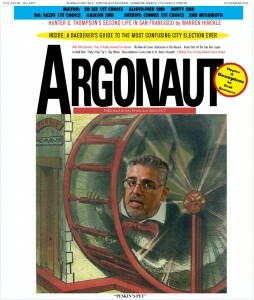 The latest issue of Argonaut has just been released. It includes a fantastic excerpt from Warren Hinckle’s book – Who Killed Hunter S. Thompson, which is due to be released by Last Gasp books in February 2012. To download the issue for free – click here. Posted in Gonzo LiteratureTagged Gonzo, Gonzo Journalism, Gonzo Writing, Hunter S. Thompson, Warren Hinckle, Who Killed Hunter S. Thompson?